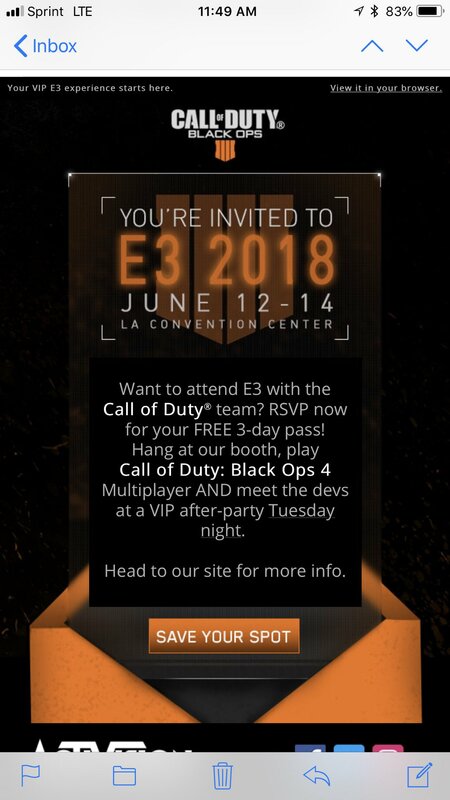 Activision has sent out emails, randomly, to members of the Call of Duty community inviting them to come to E3 2018 at the Los Angeles Convention Center to play Call of Duty: Black Ops 4 MP. 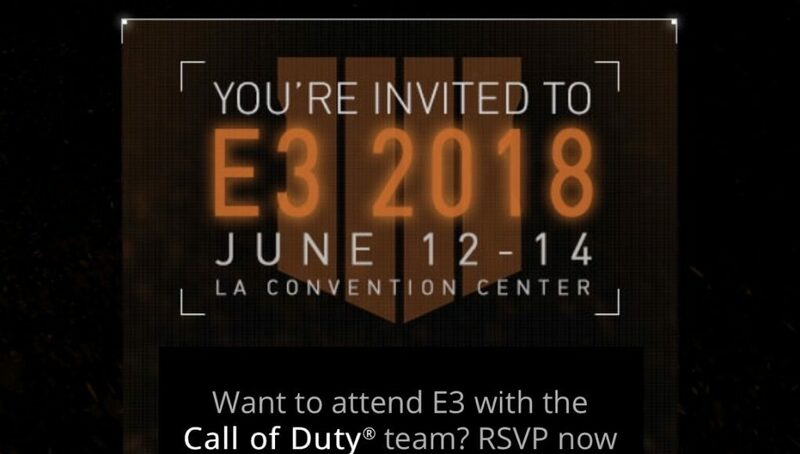 The invite, shared via @ry_guy_96, confirms MP will be playable for those attending E3 2018, which takes place June 12-14. 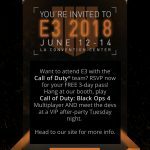 Activision has not announced any specific details about their E3 2018 plans yet, so stay tuned for new info. Over the past few years, Activision has shown off some content during the PlayStation Conference; the PlayStation E3 2018 conference is set for June 11 at 6PM PT / 9PM ET.